Brideheads started business in 2008 by Angela Knackert-Schulz. She has been a professional hair-stylist for over 20 years. Angie has worked for several salons around the Madison area for nine years, and she also worked at prestigious salons in Scottsdale, Arizona prior. She has always made the commitment to further her knowledge and learn new styles through her attendance at various hair shows as well. In September of 2011, she opened Rockabetty's Salon & Spa in Madison in addition to running Brideheads. In late summer of 2018 the salon will be moving down the street to a permanent location. Angela strives to provide her clients the best possible care utilizing her acceptional talents with an added touch of her unique humor and charm. Brideheads was started in 2008 by Angela Schulz. When she got married she noticed that there just weren't any options available for a bride to have hair and makeup come to them on their wedding day. She also noticed that this seemed to be the trend, as it's a more convenient, and a more fun way to spend the morning of your big day. Brideheads is now in its 10th year and every year there is continued growth and success. Angela continues to seek out talented stylists and make-up artists to join her ever-growing team that spans the state of Wisconsin, Northern Illinois and Iowa. There is also room for expansion geographically which Angela continues to work towards. 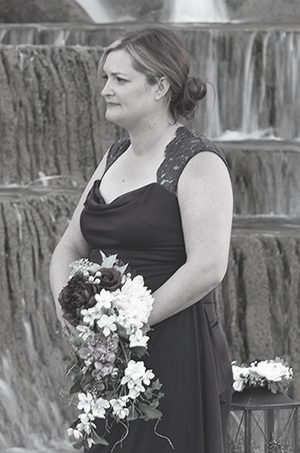 She thanks her great staff and happy brides for the continued great service and referrals.